Your mission is to provide excellent eye care to your patients. Our mission is to make certain you have the systems, time, money and peace of mind to do that. 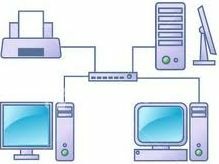 Are my networks and computers secure? Are my backups complete and reliable? Should I be worrying about viruses and ransomware? How can view images in exam rooms without buying new equipment unnecessarily? Do I really have to buy a whole new scanner or would simple fix save me a bundle? My scanner isn’t working, how much time and money am I going to lose until the equipment manufacturer flies a tech in? Our system is so slow but I just don’t have the time or expertise to find the problem and fix it. My IT guy doesn’t know the scanners and my service rep can’t fix my network, isn’t there someone that knows both? Can you believe I am still on hold?? 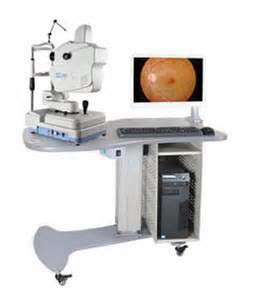 For almost 20 years, we’ve been helping ophthalmologists and eye care professionals with their scanners, computers, networks, software, websites, etc. so that they can concentrate on what they do best. We work with TopCon ™, Heidelberg ™, Zeiss ™ and other equipment manufacturers. Do you have imaging devices with computers attached or embedded inside of them? they may be vulnerable to attacks from cyber criminals, hard disk crashes, etc. We can help take the headache out of dealing with legacy equipment. Servicing and expanding TopCon ™ scanners with ImageNet. Creating, maintaining, protecting scanners, computers, networks, websites, etc. If you would rather “just” practice medicine, give us a call.